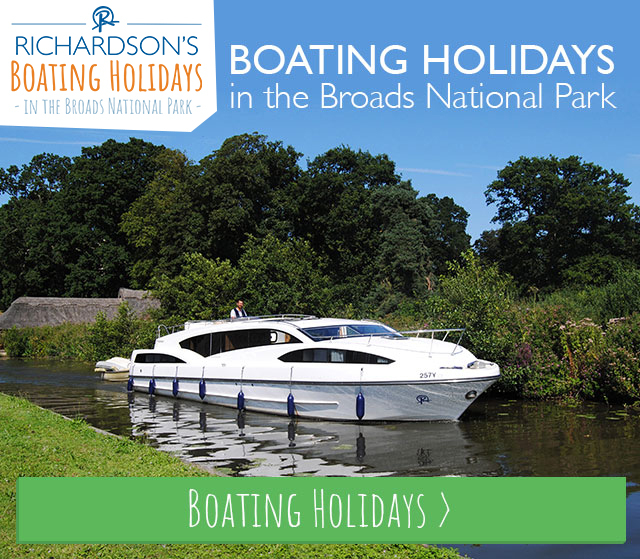 Richardson's Holiday Parks | Our Top Beach Games! 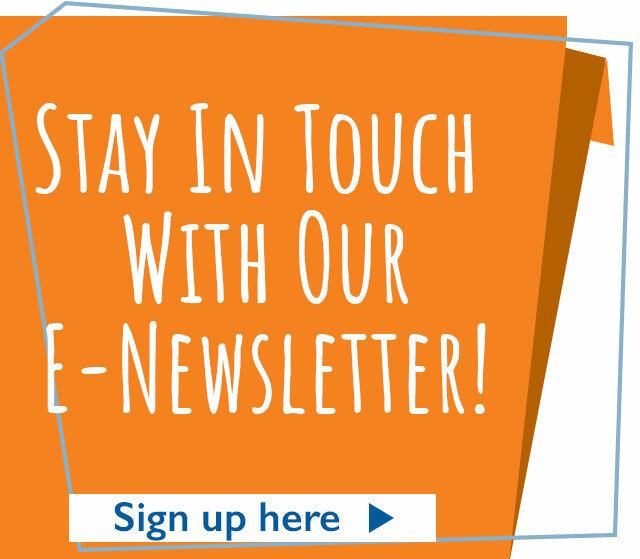 Home » Our Top Beach Games! 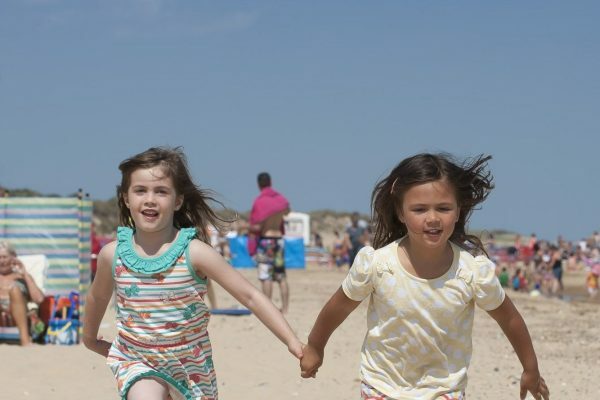 Sand toys, swimming, and lounging in the sun are all staples of a great day down at the seaside – but why not mix it up and get involved with some fun beach games? A great way to get the kids active, both mentally and physically, as well as make some great memories. 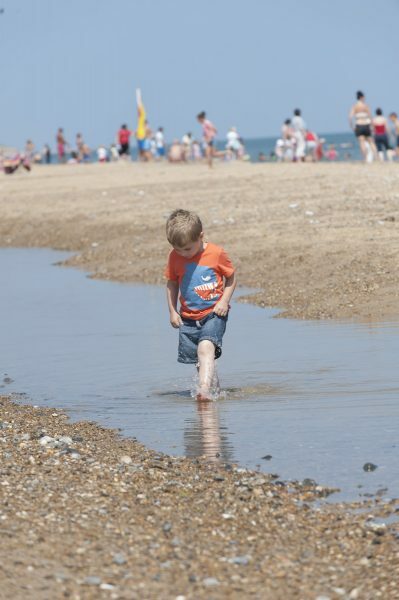 Being just a 10-minute walk from reception to seaside, Hemsby Beach Holiday Park is in an ideal location for reaching Hemsby’s golden beach. 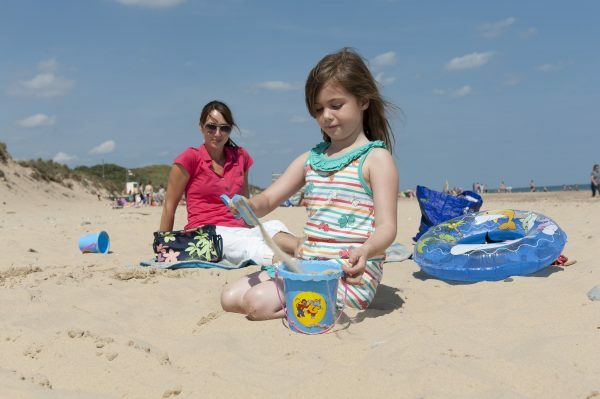 Read on for our top beach games – you might just discover a new favourite! All this requires is a couple of large containers (like buckets! ), a couple of smaller containers (plastic drinking cups, maybe), 4 players, and the sea! Two players sit a little away from the shore with the buckets on their heads, whilst the other two run back and forth to the sea with the drinking cups to try and fill up their team’s bucket first! Great for keeping little legs active and for a little friendly competition. Plus, you don’t need to buy anything to enjoy this game as it uses items you probably already have available, and the sea! This is another easy one that requires little to no cost. Simply dig three holes in the sand next to each other of varying sizes – a large one, a medium one, and a small one – and get something to bowl (tennis balls are a good choice). Then, take it in turns to see who can bowl the most balls into the holes! The smallest hole gets the most points (say 3), the middle hole gets the next most (say 2) and the largest hole, which should be the easiest one, gets the least (say 1). Give everyone a set amount of bowls, and then tally up the points in the sand to find out who the winner is! Another no-cost game! Split into teams, and ideally have someone moderating. One person draws a picture in the sand, and that other has to guess what it is they’re drawing. Each team does this simultaneously, and the moderator will keep track of points – you could do this by doing a tally in the sand for each team! Then, when the time is up (you can choose – 2 minutes is a good round number), add up the scores to see which team won! Easily played with items you probably already have, like buckets and plastic drinking cups, you can do this a number of ways. Either time it, and see who can build the biggest sandcastle in the time given, or have someone judge at the end to see who has the best sandcastle! Make a list of seaside-themed items (think seashells, rocks, a certain colour pebble, feathers etc.) and get into groups (these can be as small or as large as you like, but it might be a good idea to assign one adult per group) and search the beach for the items! The winner is whoever finds all of the items first, or who has the most at the end of a set time limit.